Extraordinary circumstances is the most common tricky phrase used by airlines to refuse your claims even if you are legally entitled to compensation. If you’ve ever experienced a flight disruption and claimed your compensation with an airline, you were most probably confronted with this term at least once. 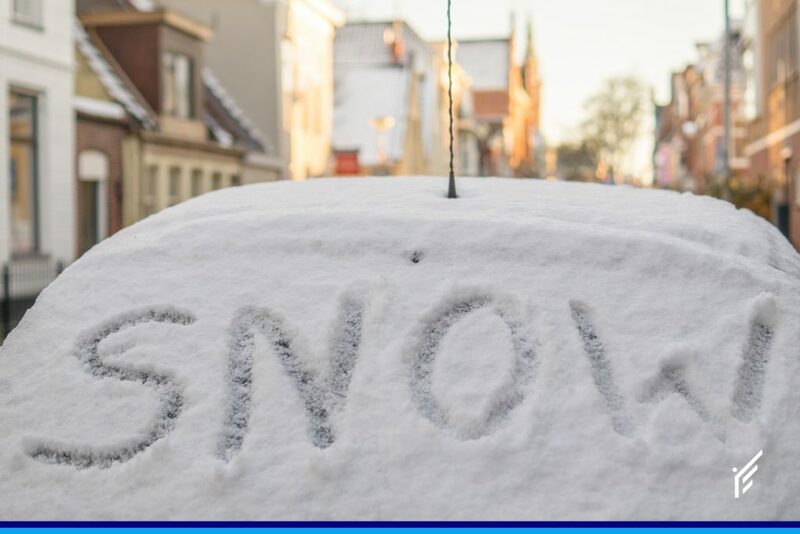 It can be also referred to as “force majeure”, or “act of God”, but whatever we call it, travelers without a deep knowledge of the law find it a mess. Here is the list of the most common reasons that airlines use to support their claim of extraordinary circumstances. This post elaborates on each of them in detail. I’ll tell you all the secrets that are hidden behind this magic formula, so you’ll be equipped with counter-arguments that will make your battle with an airline much easier. In fact, I’m going to reveal our own know-how as this topic is an important part of our training program for new employees at ClaimAir. Let’s begin with a brief history. The term of extraordinary circumstances first emerged in the Montreal Convention (Convention for the unification of certain rules for international carriage by air). Subsequently, it was adopted by the Regulation (EC) No 261/2004 which has shaped an interpretation of this term primarily in relation to all EU outbound flights as well as to EU inbound flights operated by EU-based airlines. The legislation specifies that an operating air carrier shall not be obliged to pay you any financial compensation for a delayed or canceled flight, if it can prove that the delay or the cancellation is caused by extraordinary circumstances which could not have been avoided even if all reasonable measures had been taken. Seems messy? Be sure it is. Although we’ve helped thousands of travelers, we still have endless internal discussions at ClaimAir about this single issue. Having said that, if you want to successfully claim your compensation by yourself instead of using our risk-free service, you simply need to go deeper and understand core principles used by National Enforcement Bodies or relevant courts, who are the only entities responsible for the evaluation of these events on a case-by-case basis. No worries, I’ll tell you later in this article all the details you need to know. First, let’s dissect this legal provision. 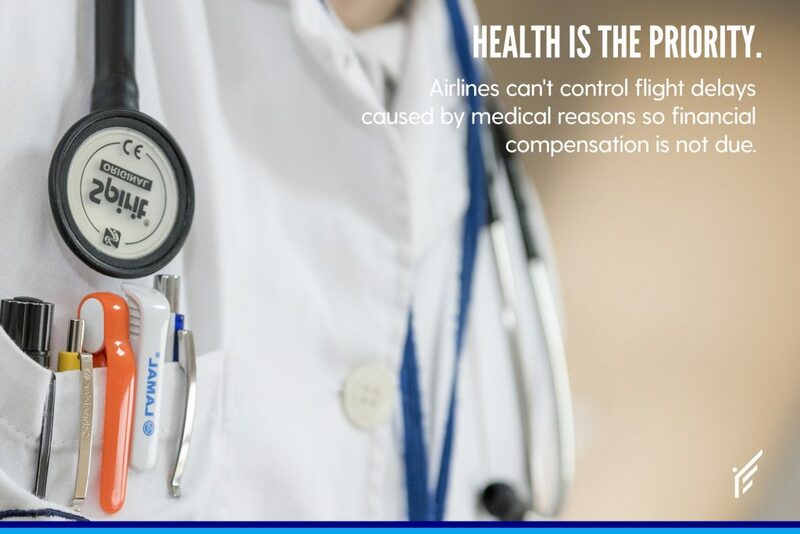 It’s clear that it covers only financial compensation, so even if extraordinary circumstances occur, you still have a right to care (meals and refreshments, hotel accommodation, transport between the airport and place of accommodation), reimbursement of your flight ticket, or alternate flight. Remember the volcano eruptions in Iceland in 2010 and 2014? Many airlines almost got bankrupted because they had to take care of their passengers. The provision also speaks solely about flight delays and cancellations. So, when airlines deny you boarding (e.g. as a result of overbooking a flight), extraordinary circumstances are out of the game. Airlines must prove that the delay or cancellation is caused by extraordinary circumstances which could not have been avoided even if all reasonable measures had been taken. How can anyone know whether such an event could have been avoided? And how reasonable should reasonable measures be? Of course, most passengers don’t have the answer to this. Not only is it difficult to answer these questions, but it’s also usually impossible to get these details from airlines. They are obliged to provide you with evidence of extraordinary circumstances and what measures have been put in place in order to avoid them, but they regularly break the law with hopes that people will give up rather than continue pursuing their claim. It was also pointed out by a court that an airline can be required to organize its resources in good time so that it’s possible to operate a scheduled flight once the extraordinary circumstances have ceased. 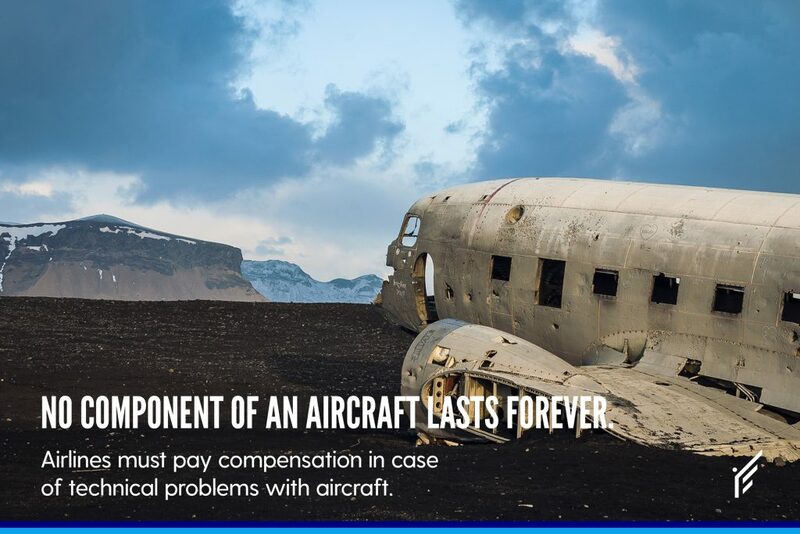 It means that even though extraordinary circumstances really occurred, it doesn’t necessarily need to be a reason for an airline to be exempted from paying financial compensation. For instance, when there is a strike of air traffic controllers (which is extraordinary circumstance certainly) that comes to an end half a day before your scheduled time of departure, an airline has to be ready to operate your flight as scheduled. If it doesn’t happen, the occurrence of extraordinary circumstances doesn’t count and an airline is obliged to pay you financial compensation. Given this fact, your initial aim is to get evidence of the extraordinary circumstances. Once you have it, you’ll need to figure out how to work with it. Believe me, this step can be pretty challenging itself. As a rule of thumb, when airlines refuse to provide you with evidence of the reason behind flight delay or cancellation, it means they have something to hide, which is always suspicious. Some examples of vague or incomplete explanations are: “operational issues”, “airport limitations”, or “unexpected flight safety shortcoming”. Nobody knows what this means so it would be impossible even for courts to make a decision whether it’s extraordinary or not. You may also face an airline claiming its inability to provide you with official evidence is due to internal policy or confidential information. The proof should be provided free of charge in line with national provisions regarding access to documents. And no, a weather report is not confidential information. When an airline provides you with clear evidence of extraordinary circumstances, it’s usually true and conclusive. Now I can hear you asking: “What can be considered clear evidence? How can I trust the airline doesn’t lie to me?”. The evidence must be either from official sources, like logbooks, incident reports, or from independent third parties like airports and air traffic controllers. It can also be helpful to listen to the captain before your flight takes off. He usually doesn’t have any reason to deceive you, so you can later consider his statement when evaluating an airline’s claim. 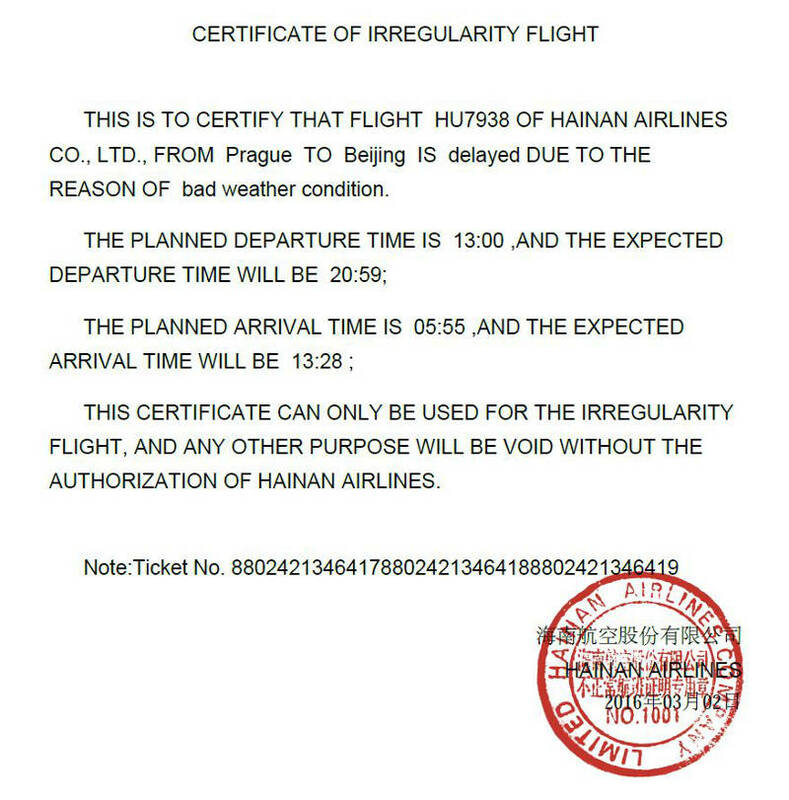 Once, we received the following “certificate of flight irregularity” issued by Hainan Airlines itself. The airline really thought that we would accept such self-issued evidence and close the case. There’s no way we would give up that easily. We took the case to court and it turned out that the bad weather argument was just an airline’s attempt to hide a technical problem with an aircraft. As a result, our clients were given €600 compensation each. On the other hand, once you get the evidence from official and independent sources, my recommendation is to trust them. Even when you believe that the weather wasn’t bad enough to impede a flight, airlines aren’t always the bad guys. The aviation system is complex and an event behind your flight disruption is sometimes really out of their effective control, so you can’t always blame them. When is extraordinary really extraordinary? This is the million dollar question. Literally! But I have the answer and I’ll give it to you for free. Ready? This is going to be challenging. There are countless discussions and definitions all over the internet, which can be pretty misleading as this issue evolves all the time (that’s why this post is regularly updated, so don’t worry about it being up to date here!). As previously stated, the basis has been established by the Regulation (EC) No 261/2004. As time went by since 2004, there have been many judgments by the Court of Justice of the European Union that have further ruled and clarified the term “extraordinary circumstances”. Moreover, there are also so-called National Enforcement Bodies (NEB) in every EU member state. These are entities responsible for the enforcement of the regulation and perform surveillance of airlines regarding the rights of air passengers. They held a meeting in 2013 when they released a document called “Draft list of extraordinary circumstances”. It’s just a simple PDF document, and as usual, they didn’t forget to mention that it’s just for information and guidance and that the list of extraordinary circumstances is non-exhaustive and non-binding. It has done more harm than good. For example, the “unexpected flight safety shortcomings” mentioned earlier came from this document. And of course, airlines have immediately started using it for their own sake – referring to this misleading document and more importantly, wrongly pretending the list is exhaustive and legally binding. The extraordinary event is not inherent in the normal exercise of the activity of the air carrier and is beyond the actual control of that carrier on account of its nature or origin. It isn’t rocket science and if you remember these core principles, you’ll be able to determine the most exceptional events by yourself. I’ve put together the following list of all possible events, so you get an idea on how to deal with your specific situation. The list is based on all judgments, interpretative guidelines, our own experience at ClaimAir, and the hundreds of comments on this blog post. I hope you’ll find it helpful. The Wallentin-Hermann case (C-549/07) clarified that a technical problem with an aircraft that was detected during aircraft maintenance or that is caused by failure to maintain an aircraft can’t be considered an extraordinary circumstance. The van der Lans case (C-257/14) opened this issue again, and finally, on September 17, 2015, it was settled that even though a technical problem occurs unexpectedly, since no component of an aircraft lasts forever, dealing with technical problems is inherent in the normal exercise of the airline’s activity. It really can’t be regarded as an extraordinary circumstance. A hidden manufacturing defect is a kind of technical problem with an aircraft that establishes grounds for extraordinary circumstances. The difference with the above-mentioned “common technical problem” is that it must be revealed by the manufacturer of the aircraft or by a competent authority. Be sure it happens rarely, so 99% of technical problems with an aircraft are ordinary ones and therefore out of the scope of the extraordinary circumstances definition. This part is both complex and uncertain. Historically, bad weather conditions were always a basis for extraordinary circumstances as it’s an unavoidable and external event. 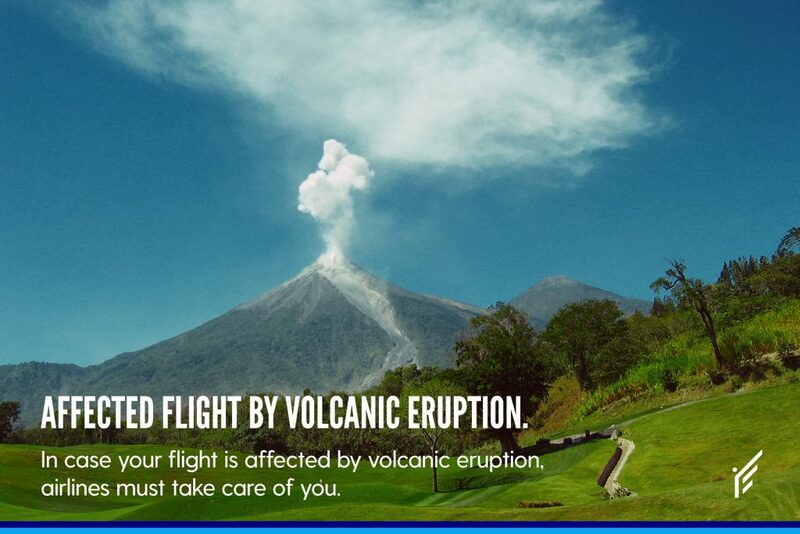 However, with a view to other court rulings stating that extraordinary event occurs only when it is not inherent in the normal exercise of the airline’s activity, it can be expected that only extreme weather conditions like volcanic eruptions, thunderstorms, hurricanes, etc. will be within the scope of this definition. Don’t forget that weather conditions need to be evaluated at the airport of departure, the airport of arrival and along the intended flight path of the aircraft. For now, I’d recommend you request clear evidence of weather conditions incompatible with the safe operation of the flight and if necessary, file a complaint with respective National Enforcement Body. Judgments of the Court of Justice of the European Union establish legally binding rulings that must be followed by other courts. Before such judgments are made, there are usually several lower court and appeal court proceedings. These initial decisions are not legally binding for other courts but they can still give you an overview of how courts are thinking about the issue. Lightning strikes is exactly such a case. On January 14, 2016, the appealing Reading County Court in the United Kingdom ruled in favor of passengers Michael Evans and Julie Lee who have sued Monarch Airlines Ltd. The court awarded them €600 each for a five-hour flight delay resulting from a lightning strike that hit and damaged an aircraft. The decision is based on similar principles like technical problems with an aircraft. Lightning strikes don’t pose any significant risk to aircrafts and commonly happen all the time. Therefore, it’s again inherent in the normal exercise of the airline’s activity and as such, it cannot be considered extraordinary. As previously mentioned, this ruling isn’t globally binding for other courts. It’s expected that this decision will be soon followed by a judgment of the Court of Justice of the European Union. Until it happens, you must take into account that lightning strikes cases will be ruled on a case-by-case basis. But at least you have an idea of how this evolves. This issue was ruled by the Siewert case (C-394/14) confirming that mobile stairs are an indispensable part of air transport and hence inherent in the normal exercise of the airline’s activity. 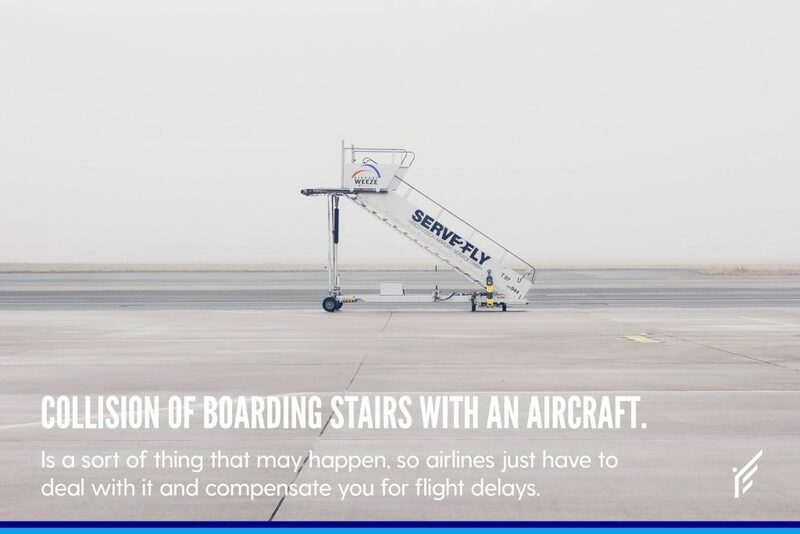 Based on it, a collision of mobile boarding stairs with an aircraft isn’t considered extraordinary circumstances. One of our commenters raised a question about a truck hitting a plane whilst it was at the gate. I believe that the situation is the same as with mobile boarding stairs. This was expected to be the blow of the year. 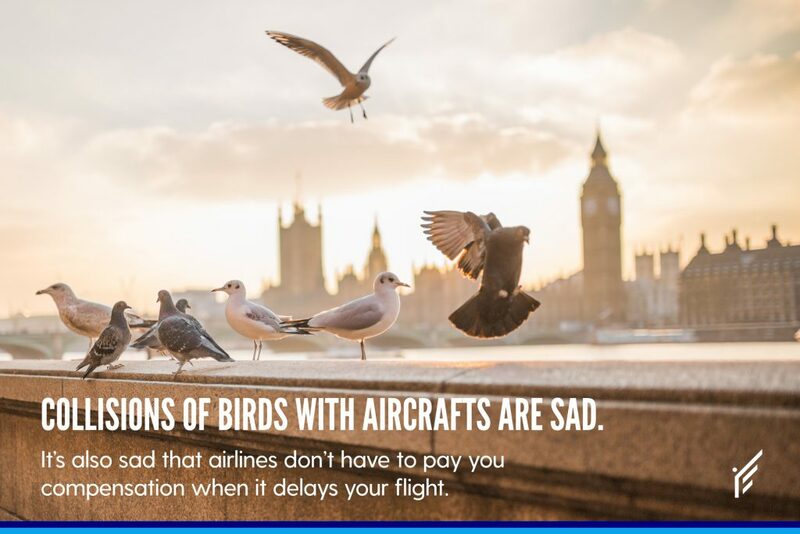 Airlines constantly argued that bird strikes are extraordinary circumstances and therefore that financial compensation is not due. So, there was a Czech case where the Court of Justice of the European Union initially gave an opinion that the court doesn’t consider bird strikes an extraordinary circumstance and therefore airlines should compensate affected passengers. As usual, the opinion was not legally binding, thus we all eagerly waited for the official judgment so similar cases could have been enforced by using this precedent. The judgment came on May 4, 2017, and it has surprisingly ruled contrary to the opinion. As a result, a collision between an aircraft and a bird is classified under the concept of extraordinary circumstances. If a strike relates to airline personnel like pilots or cabin crew members, an airline is always liable and this kind of strike cannot be considered an extraordinary circumstance. The situation is different with strikes unrelated to airlines. When a strike is held by air traffic controllers, ground handlers, or airport staff, it’s really out of airlines’ effective control and regarded as an extraordinary circumstance. There are some restrictions on how long a crew member’s shift can be. It is a responsibility of airlines to maintain its crew operating limits properly and reserve some time in order to cope with slight delays. Based on it, crew out-of-hours is not an extraordinary circumstance. When a passenger or crew member becomes seriously ill or dies on-board or during the flight, it constitutes grounds for extraordinary circumstances. War, acts of terrorism or sabotage, political or civil unrest, or general security risks are undoubtedly within the scope of extraordinary circumstances. Even though technical problems with an aircraft are tightly connected to safety issues, when something wrong occurs with an aircraft during a flight itself, it is considered an extraordinary circumstance as well as it should never normally happen. If Air Traffic Control suspends or restricts operations either out of the airport of departure, into the airport of arrival or into or out of a block of airspace through which the air carrier must travel in order to operate the flight, this event can be considered an extraordinary circumstance. All of these events are not inherent in the normal exercise of the activity of the air carrier and are beyond the actual control of that carrier. Moreover, these events are unpredictable, unavoidable and external. Based on this, these issues are considered an extraordinary circumstance thus financial compensation is not due. I’m sure you already know the answer… yes, these are certainly within control of airlines and are a part of their daily routine thus can’t be regarded as extraordinary circumstances. It’s clear that a single event can affect multiple flights by triggering a chain reaction. But it doesn’t mean that an “extraordinary issue” preamble can be called for every flight disruption in the chain. The Eglītis et Ratnieks court case (Case C-294/10) can be used for this particular scenario. It has mentioned that an airline can be required to organize its resources in good time so that it’s possible to operate a scheduled flight once the extraordinary circumstances have ceased, that is to say, during a certain period following the scheduled departure time. 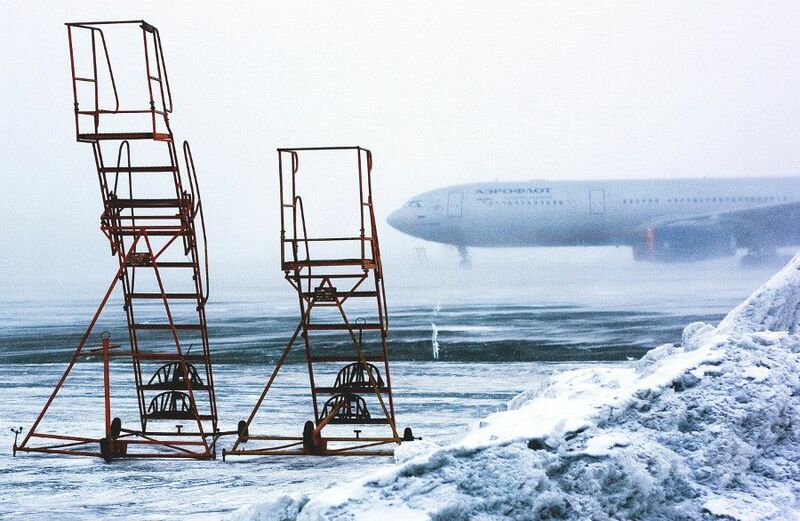 In particular, the air carrier should provide for a certain reserve time to operate the flight in its entirety once the extraordinary circumstances have come to an end. And why is this tricky? Because such reserve time is assessed on a case-by-case basis, obviously because one size doesn’t fit all. Imagine that the available resources of airlines will generally be higher at the home base compared to outbound destinations, so a different reserve time is needed. Still looking for an outcome? Just follow my first recommendation and require an airline to provide you with clear evidence of extraordinary circumstances. Once you get it, I strongly believe that thanks to this blog post you’ll know how to handle it like an expert. 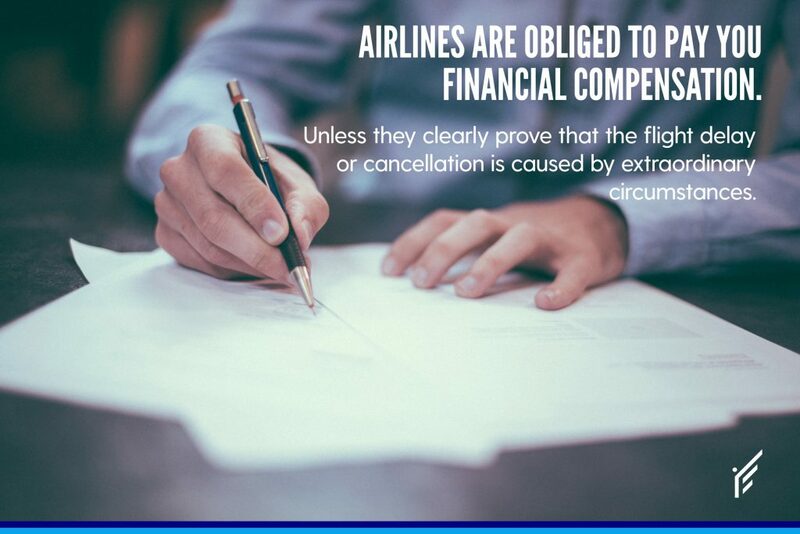 Also, do remember that you are always entitled to financial compensation unless an airline proves that the delay or cancellation is caused by extraordinary circumstances. Now that you’ve seen how to handle the “extraordinary circumstance” preamble, I’d like to hear from you. What do you think of the claim process of airlines? Or maybe you have a question coming from your own experience with air travel. Either way, leave a comment quick below, I’ll be around to reply to comments and answer questions. In summer 2018, Lufthansa strike affected thousands of travelers. You might have been one of them. The thing is that you’re entitled to compensation ranging from €250 to €600 and I’ll tell you how to get it. Get tips and tricks from fellow travelers. We run flight ticket giveaway campaigns from time to time.